This disclaimer governs your use of YACHTS.ME website; by using our website, you accept this disclaimer in full. If you disagree with any part of this disclaimer, please refrain from visiting the appointed address for the website. The information that it contains is about the company, its programs and services. The information is provided for general purpose only, making no representations or warranties of any kind. Sell, rent or otherwise sub-license material from the website in any public or private electronic systems. Reproduce duplicate, copy or otherwise exploit material on our website for a commercial purpose. Edit or modify any material on the website. 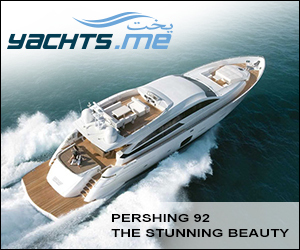 Through this website, you are able to link to other websites, which are not under the control of YACHTS.ME. We have no control over the nature, content and availability of those sites. The inclusion of any links does not necessarily imply a recommendation or endorse the views expressed within them. Furthermore, YACHTS.ME disclaims any intention to censor, edit or engage in on-going review or surveillance of communications stored on or transmitted through its facilities by customers or others. YACHTS.ME may however review, delete or block access to communications that could harm YACHTS.ME website, its customers or third parties. Whilst we endeavour to ensure the correctness of the information provided on this website, we do not warrant its completeness or accuracy; nor do we commit to ensuring that the website remains available or that the material and/or products on the website remains up to date. YACHTS.ME takes no responsibility, and will not be liable for, the website being temporarily unavailable due to technical issues beyond control. (e) YACHTS.ME will not be responsible for any damages your business may suffer to the extent permissible by law. 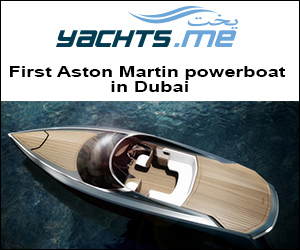 (f) YACHTS.ME makes no warranties of any kind, express, implied, statutory or otherwise for any service provided. Furthermore, under no circumstances, shall YACHTS.ME, its officers, agents or anyone involved in creating, producing or distributing the service be liable for any direct, indirect, incidental, special or consequential damages – that result from the use or the inability to use the service; or that results from mistakes, omissions, interruptions, deletion of files, errors, defects, delays in operation, or transmission or any failure of performance, whether or not limited to acts of God, communication failure, theft, destruction or unauthorized access to our records, programs or services. We may revise this disclaimer from time to time. The revised disclaimer will apply to the use of our website from the date of the publication of the revised disclaimer on our website. Furthermore, YACHTS.ME reserves the right to change the content of its website at its sole discretion. You agree that you will not bring any claim personally against YACHTS.ME officers or employees in respect of any losses you suffer in connection with the website.